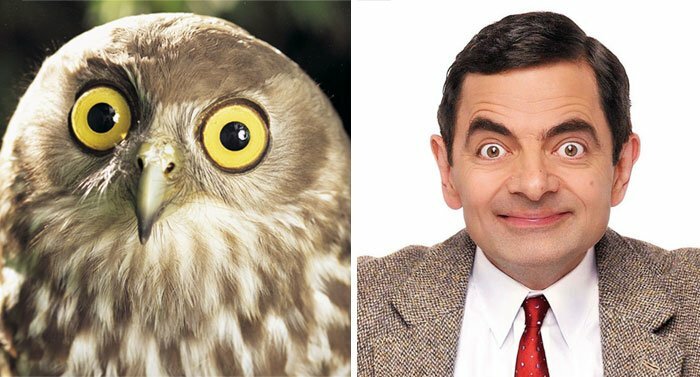 Rowan Atkinson, famously known as ‘Mr. Bean’ can often look creepy when he opens his eyes as big as he does when portraying this character. Fun Fact: The eyes of an owl are not true “eyeballs.” Their tube-shaped eyes are completely immobile, providing a binocular vision which fully focuses on their prey and boosts depth perception.